Tally made cheque printing very easy for users. 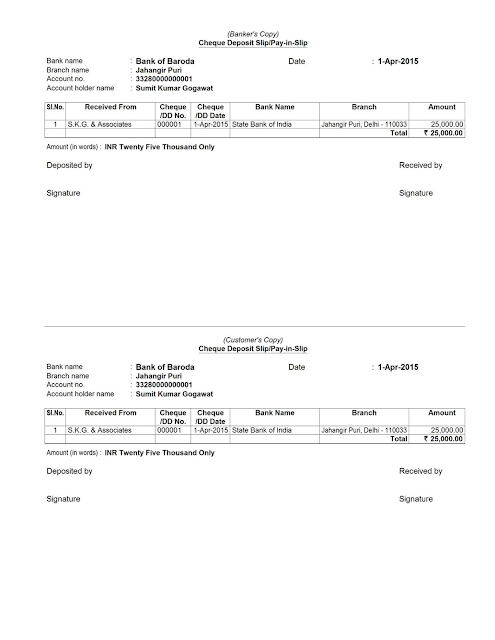 Banks also accepted deposits created by Tally.ERP9. I was work for a manufacturing company and there is daily approximately 50 cheque received from the customer's and deposit into the Bank. But Tally made it very simple, Create deposit entry in the books and generate deposit slip directly from the Software. Now pass the Receipt Entry, on bank allocation fill all the details required. These details will print on your deposit slip. Press Alt+P (For print command). Select options Print Cheque Deposit Slip to "Yes". Select Customer Copy also to "Yes" (If you want to obtain a copy of deposit slip). 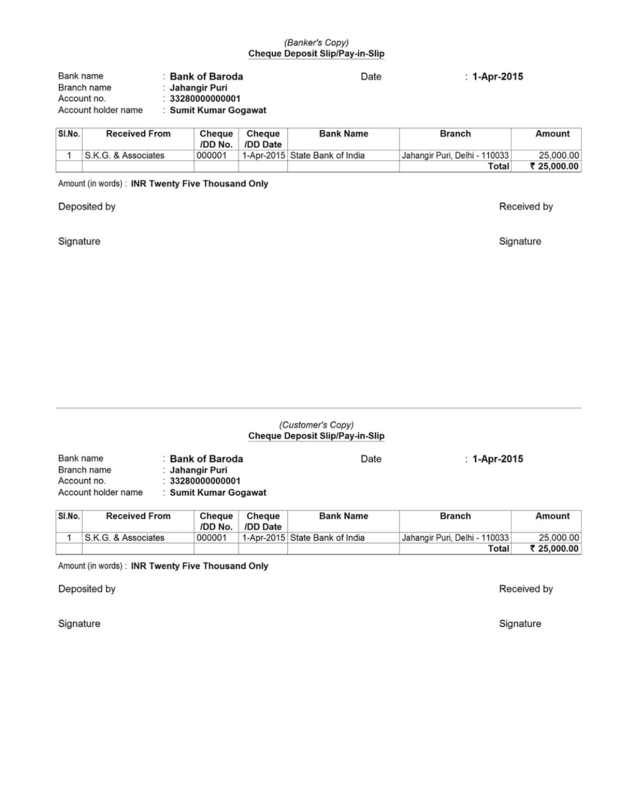 See below image for format of Deposit Slip.